This beloved hymn was sung as an anthem by the choir at the July 28th worship service at Minneapolis’ Westminster Presbyterian Church. Listening to it was enriching although joining in congregational singing of the hymn would have been even more meaningful. At least for me, however, there is not enough time while listening to an anthem or singing a hymn to ponder the true meaning and significance of its words. I recently have discovered that gaining a better and deeper understanding of a hymn or anthem requires subsequent meditation on the words, researching the hymn’s history and writing an essay recording the results of that meditation and research. In short, such a practice has become a spiritual discipline. Thus, “Here I raise my Ebenezer; hither by thy help I’m come” is a metaphorical way of saying that I recognize that God has helped me reach this point in my life and that it is important to create an outward expression of this recognition and gratitude. The lyrics were written around 1757 by Robert Robinson, an Englishman then age 22 and a recent convert to Evangelical Methodism. In 1759 after a brief period at a Congregational Chapel, he joined Stone-Yard Baptist Chapel in Cambridge, England. 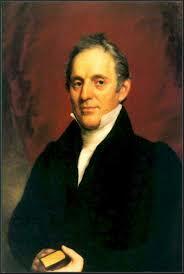 There he remained for most of the rest of his life, first as Lecturer and then, from 1762 to at least 1788, as Pastor. 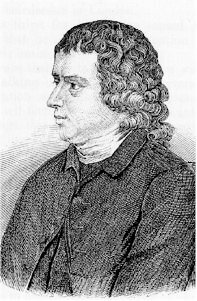 Although Robinson had argued against Unitarianism for many years, in 1788 he apparently converted to that faith although never doubting the full divinity of Jesus Christ. In 1790 he visited Joseph Priestly, a noted Unitarian in Birmingham, England  and preached several sermons at his chapels. There Robinson died and was buried in that city’s Dissenters’ Burial Ground. 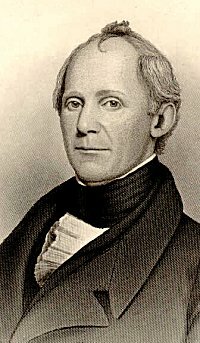 In the U.S., the hymn is usually set to an American folk tune known as Nettleton, composed by Asahel Nettleton (1783 –1844), an American theologian and pastor from Connecticut who was highly influential during the Second Great Awakening. In 1813 the hymn and music were included in the Repository of Sacred Music, Part Second that was published by John Wyeth, a Philadelphia printer. This book and its predecessor, the Repository of Sacred Music, were highly successful, selling over 150,000 copies. 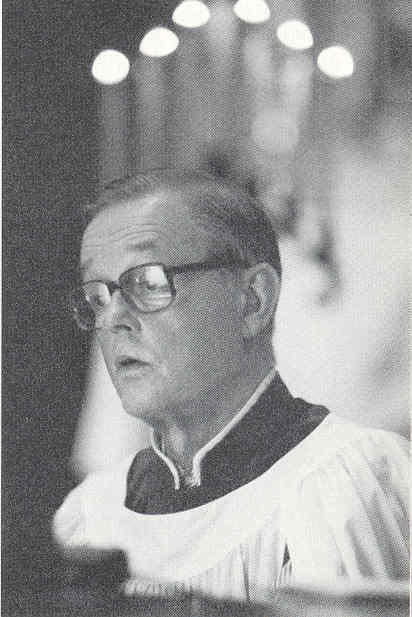 In the preface to his work, Wyeth claimed three qualifications as a compiler of sacred music: years of attention to the charms of church music; acquaintance with the taste of eminent teachers; and the possession of more than a thousand pages of music to use. Merely recounting the involvement over 250 years of four men in the creation, publication and arrangement of this hymn (and anthem) and then the Westminster choir’s singing the hymn under the direction of Jere Lantz with the organ accompaniment by Westminster Minister of Music & the Arts/Organist, Melanie Ohnstad, brings to mind two Scriptural passages. All of these individuals are members of the “cloud of witnesses” (Hebrews 12:1-2) who meld their different gifts into one body to produce something pleasing to God (Romans 12: 3-8). Including Samuel in this cloud of witnesses, as we should, expands the time period to over 2,700 years. The bulletin and a video and audio recording of this service are available online. Other posts have discussed other hymns and anthems that have been sung at Westminster: two Palestinian hymns; O Holy One and Nameless; Forth in Thy Name, O Lord, I Go; Lakota Wiyanki (Beautiful Women); Heleluyan; Morning Song; Many and Great, O God Are Thy Ways; Many and Great, O God Are Thy Things;You Know the Way; and Just As I Am. Thank you for compiling this excellent history of a very special song, and for arguing in favor of retaining Robinson’s original language. The best hymns teach us about the faith, and drive us to want to know more about God and His revelation to humanity in Christ. Removing the word ‘Ebenezer,’ as so many modern versions are unfortunately doing, robs God’s people of an incentive to dig more deeply into the faith in search of treasures they might otherwise never discover. This was always one of my favorite hymns because I was baptized in Ebenezer Presbyterian Church. The symbol of an “Ebenezer” raised in time if trouble has always been a comfort to me. We sang it at my mother’s funeral and at my last day at Westminster! Thanks Erwin. Please feel free to correct or amplify any of my remarks. I would appreciate learning more. This is wonderful, Duane. Thank you for your thorough research and for sharing it.